Is A Body Shape Index (ABSI) Predictive of Lung Function? © 2019 Soltanifar M, et al. This is an open-access article distributed under the terms of the Creative Commons Attribution License, which permits unrestricted use, distribution, and reproduction in any medium, provided the original author and source are credited. 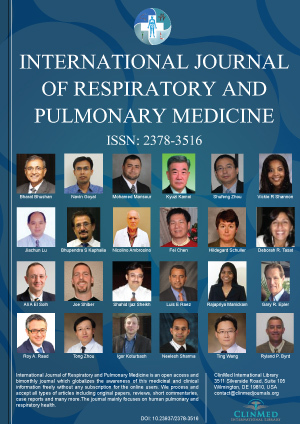 The available spirometric lung function equations in Canadian context have been limited to age and height as predictors and Caucasian ethnicity. The plausible equations with other individual predictors and First Nations populations are missing in the current literature. To set an initial investigation in terms of study sample size and simple reference spirometric equations on the association of the set of conventional predictors in companion with two new predictors BMI and ABSI with spirometric lung function equations in Canadian First Nations Cree Populations. First Nations Lung Health Project (FNLHP) was conducted in rural Saskatchewan, Canada. For this analysis, we used data obtained on healthy non-smokers. There were 37 First Nations people (24 females, 13 males) from the FNLHP. Bootstrap regression technique was utilized to predict pulmonary lung functions in terms of age, weight, abdominal girth and body mass index (BMI), and a body shape index (ABSI). Controlled for age, BMI had significant association for FEF25-75 for women and no significant association for men in other outcomes. Controlled for age, ABSI had significant association for FEV1 for women and significant association for FVC and FEV1/FVC for men. In overall, ABSI was better predictor of spirometric outcomes compared to BMI. ABSI may be considered as a key predictor for spirometric lung functions in men and women for Canadian First Nation Populations with more significant results in men. Mark Fenton, M.D, Division of Respirology, Critical Care and Sleep Medicine, Department of Medicine, University of Saskatchewan, Canada, Tel: +1(306)844-1009.